Consider this…The clients we help are usually on a fixed income when they retire. When turning 65, seniors are often confronted by a slew of insurance agents calling, knocking, filling up their mailbox, etc. This is because the agents know that you can sign up for ANY Medicare plan in the market and it it guaranteed issue = you cannot be rejected for coverage, initially. So what is better? A MediGap (supplement) plan? 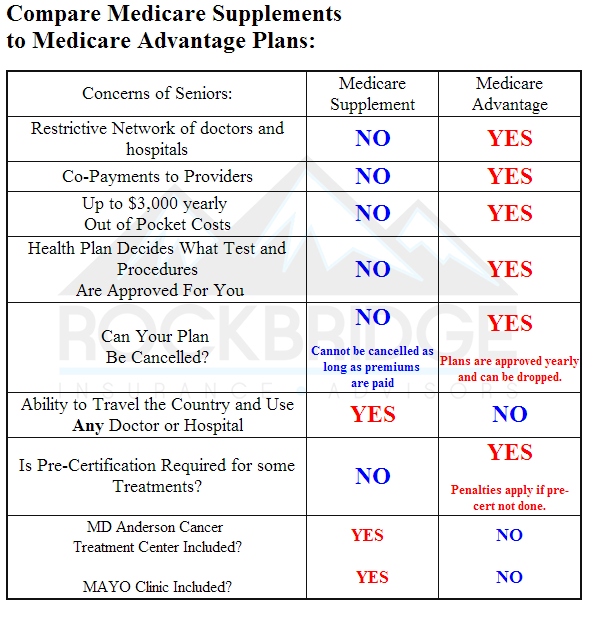 Or is a Medicare “Advantage” plan the best way to go? Our clients do not like SURPRISES with their health plan. 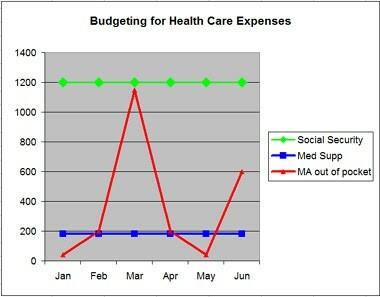 As you can see, with a Medicare Supplement policy, you have consistent monthly premiums each month. This works well for someone on a fixed income. Avoid the spikes in cost (red line) that is possible with a Medicare Advantage plan, such as an $1,800 bill for one hospital stay.